When we heard that the 2010 PAEE conference was titled, A Sense of Place: Our Outdoor Heritage we knew we had to submit a proposal. 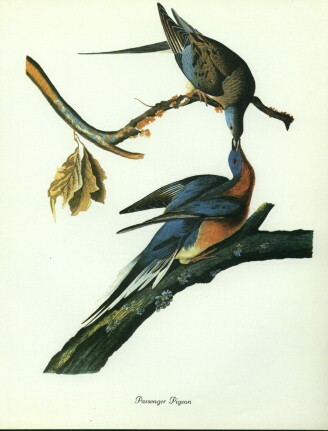 Our topic is the disappearance of the passenger pigeon, which is an issue that is directly connected to the history and ecology of the conference site, Blue Bell, PA. We are looking forward to meeting and working with environmental educators from across the state, and hope to see you there. The Iroquois celebrated the passenger pigeon in dance. Early explorers described “infinite multitudes” of the migrating birds that blackened the sky with their sheer numbers. Estimates of passenger pigeon population in North America at one time reached 5 billion. Through deforestation and overharvesting, however, the population began to decline in the late 1800s, complete devastation quickly followed and finally, extinction in 1914. What does it mean to lose a population of billions of birds in a span of 100 years? The Sense of Place Learning model invites participants to explore the social and ecological implications of the loss of the passenger pigeon through folk song, photography, local stories, environmental investigation, and hands-on activities in math and science.